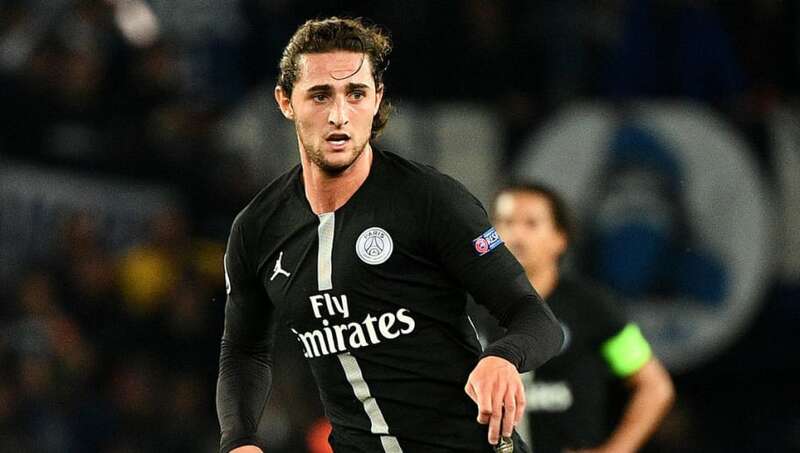 ​Manchester United, Liverpool, Arsenal, Chelsea, Tottenham and Barcelona all await the latest developments in the Adrien Rabiot saga after it has been reported that the 23-year-old midfielder has been suspended by Paris Saint-Germain for serious misconduct. Rabiot was already on course to leave PSG as a free agent at the end of the season after resisting offers of a new contract. The France international has been an outcast for the last three months and hasn't been named in a PSG matchday squad since 5 December. "It's not that I'm hiding away, I am available to the club. If I could play, I would. I've always been a club man," the player himself said of the situation this week, as quoted by Sport. According to L'Equipe, Rabiot has now been suspended by PSG until 27 March over his recent behaviour. The player was seen visiting a nightclub in the hours after his teammates had been beaten by Manchester United in the Champions League, while he also 'liked' a social media video of Patrice Evra celebrating the English club's victory at Parc des Princes. It has been alleged that the player has already held talks with Barcelona, Tottenham, Chelsea and Arsenal. City have also been linked with a move in light of uncertainty over Ilkay Gundogan. The Sun claimed United would have to offer wages of £200,000-per-week and a £10m signing bonus, with a club 'source' even quoted as saying: "The boss is well aware of his ability. We are on the lookout for a midfield link player for the long-term." Whether any of the rumoured potential suitors will be put off by Rabiot's latest punishment or anything already on his rap sheet remains to be seen. L'Equipe notes that the player was stripped of a bonus in his contract in January after failing to report to a training camp in Qatar, while he infamously refused to be named on the standby list for France's World Cup squad last summer after missing the cut for initial 23-man group.